When makeup-removing wipes first hit the scene, they were a revelation. They’re a water-free way to cleanse the skin — perfect for gym bags, travel bags, or for flopping into bed and doing the absolute bare minimum to refresh skin. Plus, they come in pretty much every formulation possible to boot, including soothing nighttime iterations, exfoliating wipes, and more. We’re especially hooked on them because they’re often just what it takes to truly remove the most stubborn eye makeup. Use, toss, done. Toss: therein lies the rub. Because the fibers of most of these cloths are synthetic, they are not recyclable or compostable. And so, to the landfill they go – or, in some cases, they end up clogging up your pipes when flushed. Not only that, they come in plastic containers or packaging, which you buy each time you need a new stash. Thankfully, there’s been a huge bumper crop of reusable cloths, mitts, and washcloths designed just for removing your makeup. Ashlee Piper, an eco-lifestyle expert and author of Give a Sh*t: Do Good. Live Better. Save the Planet, for one, is a fan. “I love the idea of a reusable cloth because it cuts down on waste,” she explains. Cloths made with microfibers are especially popular for a reason, says Carolyn Forté, Director of Cleaning Products and Textiles (amongst other things) at the Good Housekeeping® Institute. “They work so well because of all the fiber ends and surface area that trap and hold onto dirt,” she says. “What’s more, they are super absorbent, great at picking up grease, and can be used dampened or dry.” Just be sure not to use fabric softener when you wash or dry them, she notes, because that can hamper the absorbency. One more reason you may want to find a new ride-or-die remover: you’ll save money. While they may cost a few more dollars than a pack of wipes, in the long run you’ll spend way less on refills and, possibly, cleanser. Read on for the best of the crop. Form meets function with the rather genius Take My Face Off Makeup Mitty ($14) into which you insert your fingers, for a thorough cleanse. The super-soft fibers of the aqua, teardrop-shaped mitt are designed to grab makeup without tugging fragile skin. If you’re only ever interested in eye makeup removal, the black Mini Mitty™ ($10) won’t let you down — or show the dark traces of your most stubborn liner or mascara. 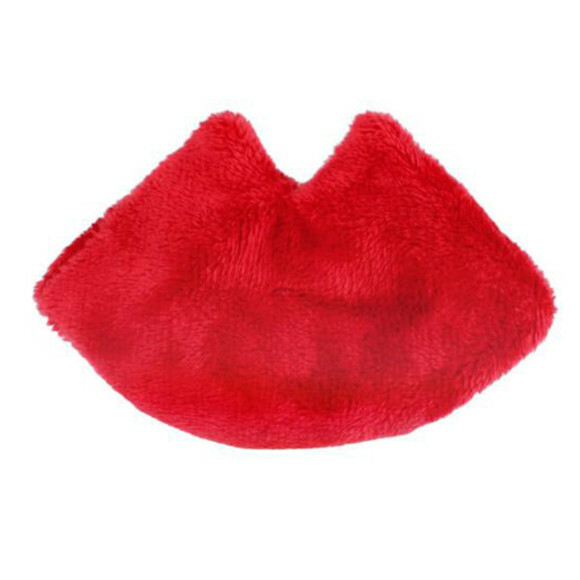 There’s even a new Mitty Pout™ ($26), just for getting rid of those long-lasting lipsticks. 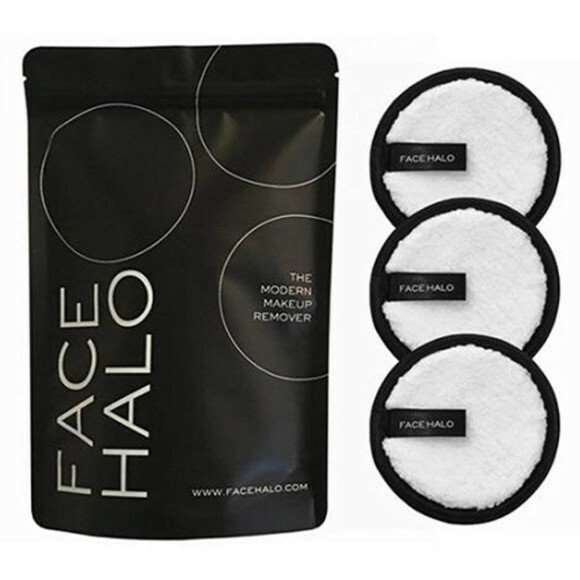 If there were an “it girl” of reusable makeup-removing cloths, Face Halo ($22) might be her. The black and white discs come three to a pack, are sleek, stylish, and have been called (lovingly) a ShamWow!® for your face. 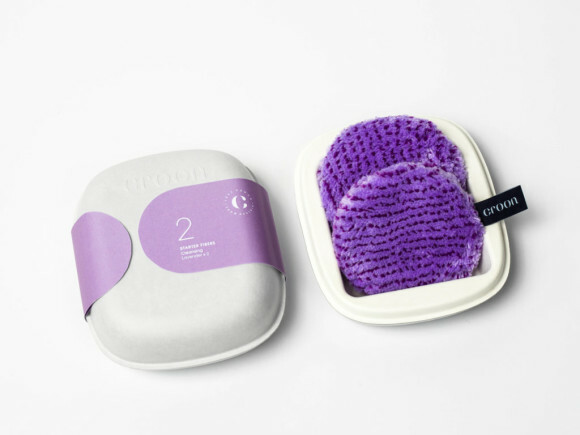 They are reusable for 200 washes, feature a plush pile on both sides, and claim to whisk away makeup with nothing more than water and a few swipes. (Those tiny microfibers are great at grabbing debris!) Plus, the little brand tag can be hung around a hook, making the disc dry in a hot second. 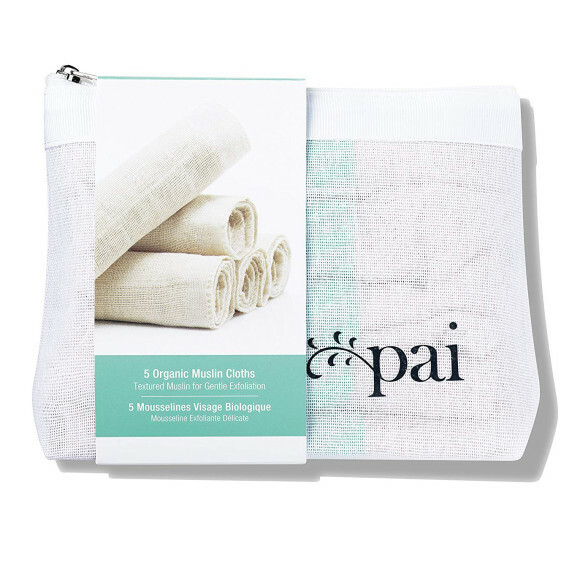 Eco-lifestyle expert Piper declares the Pai Exfoliating Organic Muslin Cloths ($20 for five) as her pick. “The microfiber cloths — once discarded — can eventually pollute waterways and are difficult to biodegrade,” she notes. 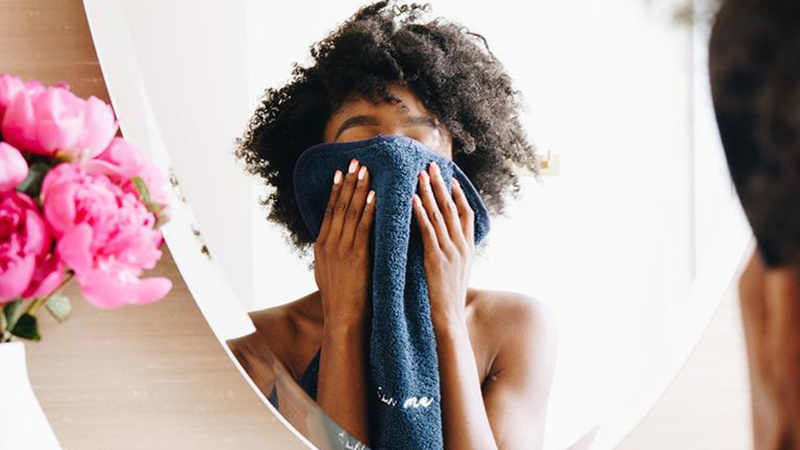 “I generally recommend people remove makeup with a natural oil and a cotton muslin or other natural-fiber reusable cloth.” These 30 by 30 cotton squares fit the bill: they’re biodegradable. The mild exfoliating aspect is a great addition, as well. 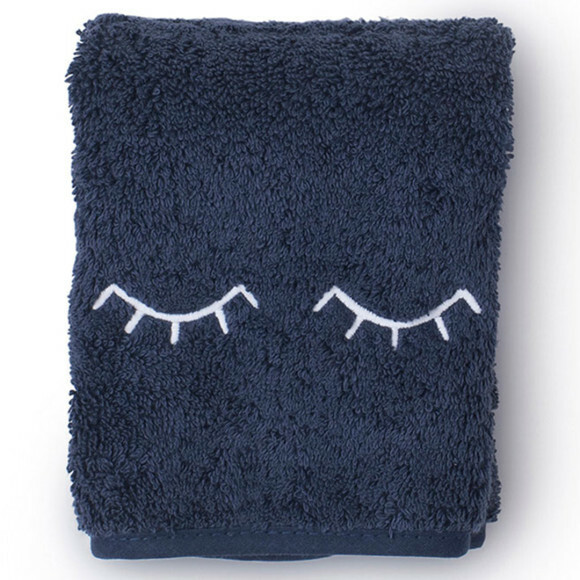 If stained hand-towels and washcloths are the bane of your bathroom existence — whether it’s you or your houseguests doing the staining — replacing them with one of Weezie Makeup Towels ($40 a pair) is a no-brainer. The thick, luxe cotton and navy hue hides stains until wash day, while the embroidery options like a winking eye, hearts, or the exhortation “Stain Me” shows your funny bone. The loop for hanging is another smart, thoughtful touch. 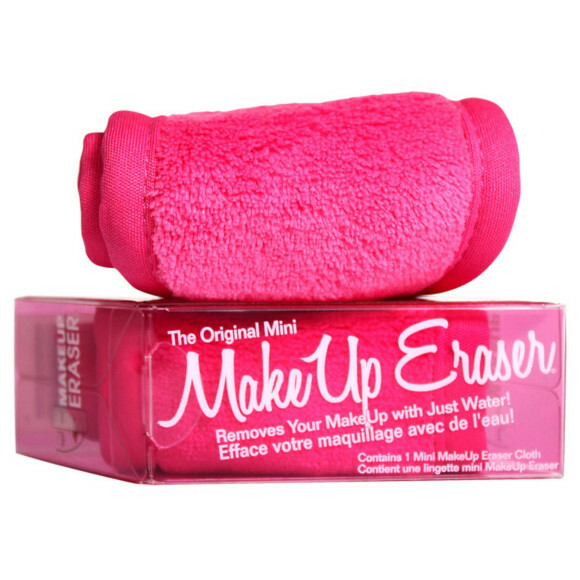 The generously sized makeup removing towel from Makeup Eraser ($20) looks like a super-skinny hand-towel, if your hand towel had one side meant to gently exfoliate the skin and one side built to erase makeup without any cleanser. The original model is hot pink, but there’s pretty much a pattern or shade for every vanity — from basic black to a fun cheetah print.